Scotcheroos is a gooey, rice krispy treat with peanut butter, chocolate, and butterscotch! 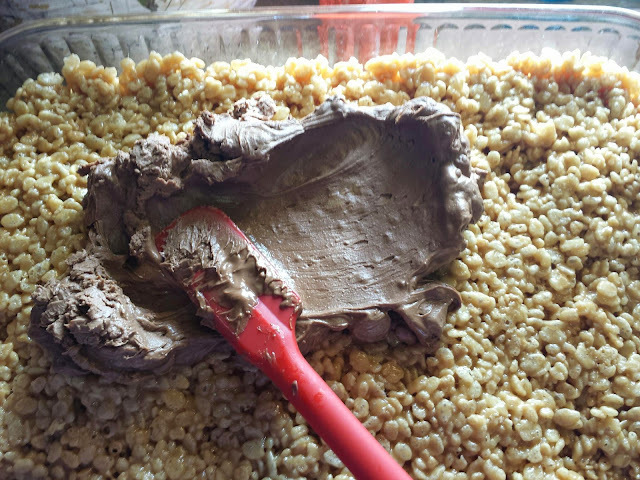 It is a fun snack to make with the kids! Kids and the husband love desserts. My daughter had to bring a dessert for a teachers lunch, put on by the Student Council. I checked the box on the signup sheet to bring a dessert. I figured she could handle carrying something simple on the bus in the morning. She came home and told me I was to make Scotcheroos. I knew I needed to pick up enough supplies to make two batches. One to take to school and one to keep for the family at home. Pour six cups of rice cereal in a large bowl and set aside. I used half a bag of chocolate chips and half of a bag of butterscotch chips and carefully melted them over the stove, on medium heat. Pour immediately over the rice mixture. This is the part where blogging isn't so pretty. 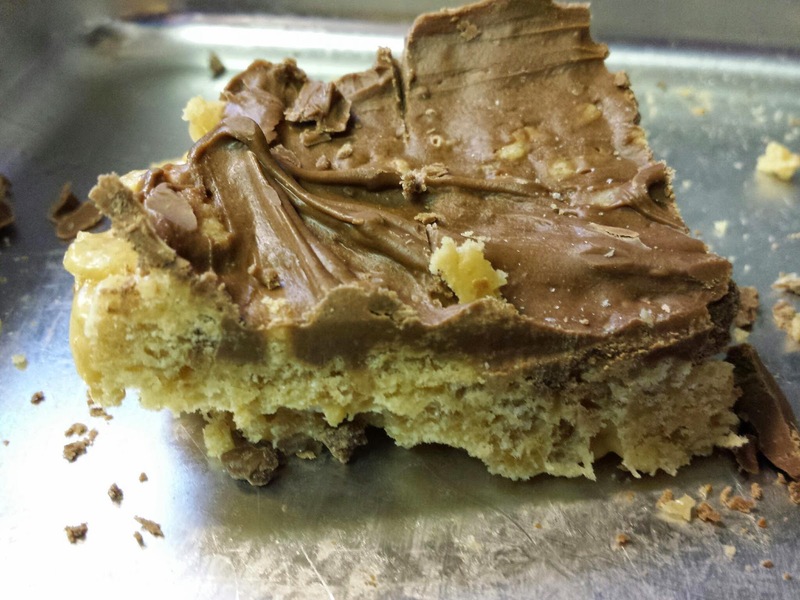 I realized I need a picture of the scotcheroos, and this is the last piece left. Grease 9x13 pan and set aside. 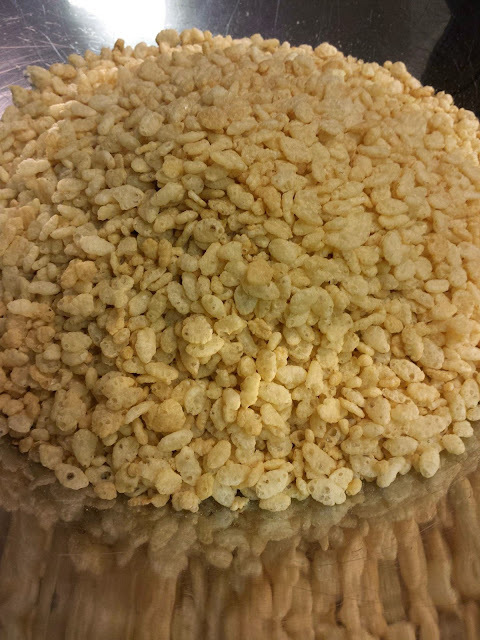 Pour 6 cups of Rice Krispies cereal in large bowl, set aside. 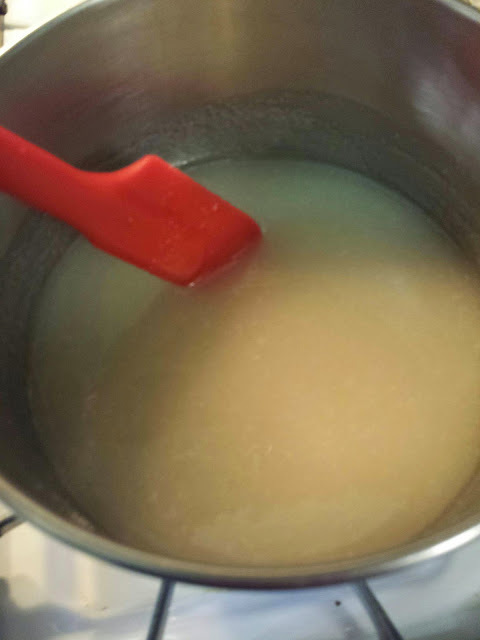 Melt one cup sugar with one cup white syrup in a saucepan on the stove. Remove from heat when it begins to boil, and stir in one cup of peanut butter. 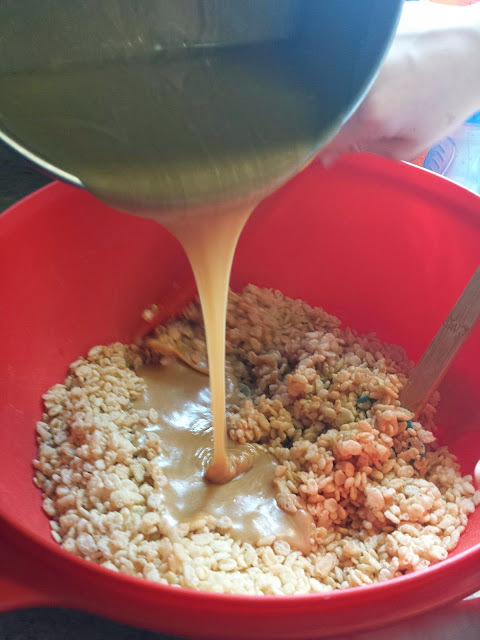 Add mixture to cereal a little at a time while stirring. Spread in 9x13 greased pan. 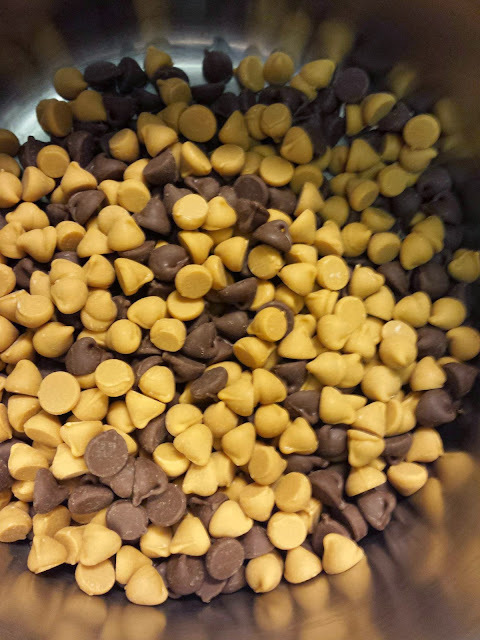 Add 1 cup chocolate chips and 1 cup butterscotch chips into microwave safe bowl. Cook 30 seconds and stir, and continue until melted. Wait until cooled to cut into squares. 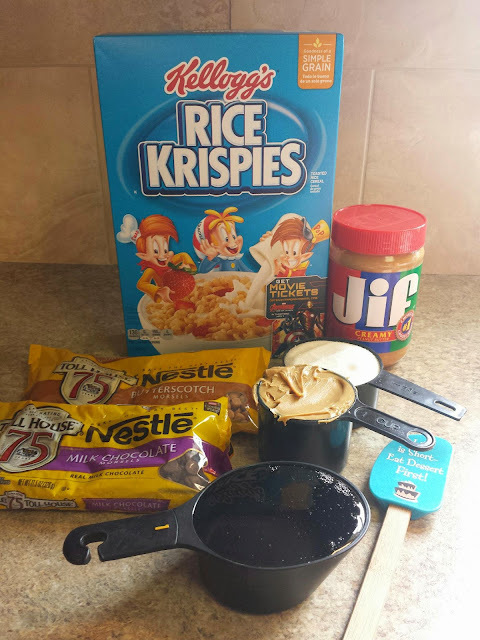 You can prepare the sugar and white syrup in the microwave, cook 3 minutes, stir, 1.5 minutes, stir, and add the peanut butter. Depending on how gooey you like the cereal, decrease 1/2 cup of cereal. Place Scotcheroos in the refrigerator to cool faster. So, of course, I had to make another batch! We call them Special K bars as the Hubby likes them made out of Special K cereal or Corn Flakes. 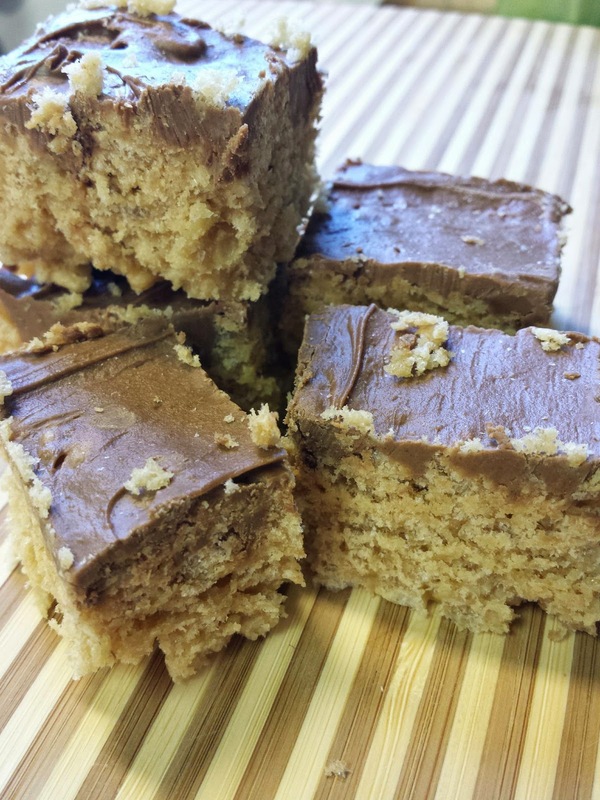 A classic recipe that is always a hit! I haven't had a Scotcheroo in years! I am seriously craving them now after reading your blog! 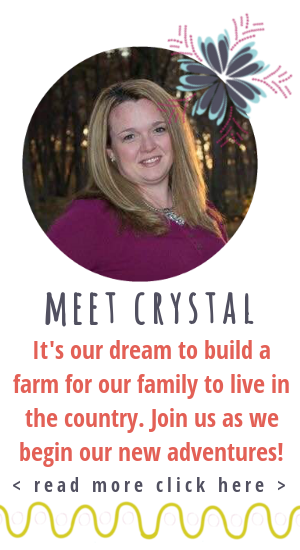 Stopping by from County Fair Blog Party. I haven't made these in years! I do believe it is time to teach my boys how to make them. 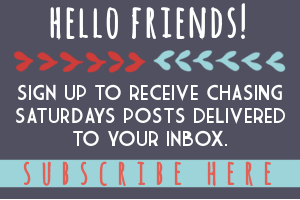 :) Thanks for linking up to the Country Fair Blog Party!